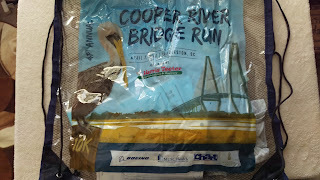 Friday I received my Cooper River Bridge Run race packet in the mail. I wasn't expecting it because when I signed up for the race, I thought I would be picking up everything at the CRBR expo on April 6. 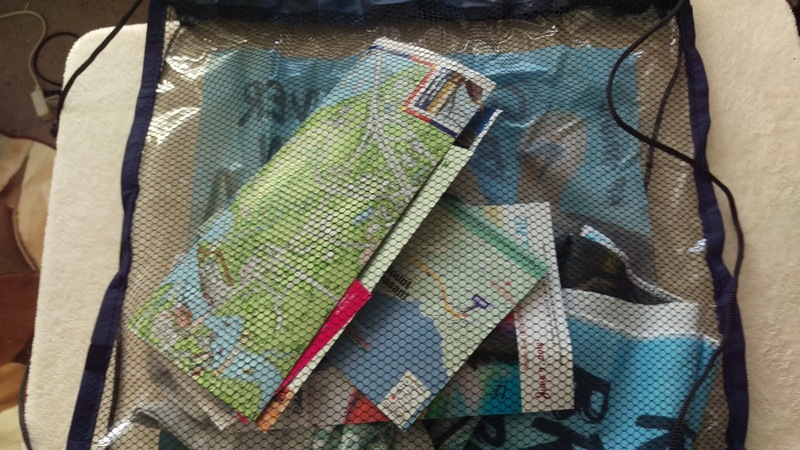 So I looked at my registration, and yes, I did sign up for the packet to be delivered to my home. 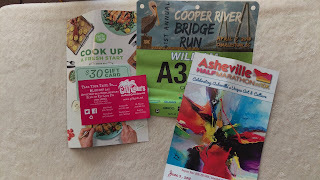 Thus I set about opening the envelope and this is what came with my bib number. 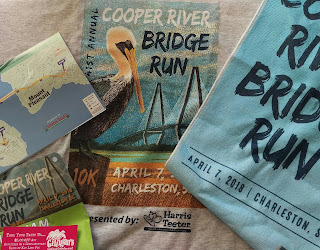 The first (and only) thing that was in my envelope was my cinch bag, but it was filled with all the all the race information and goodies that I would expect from this company. 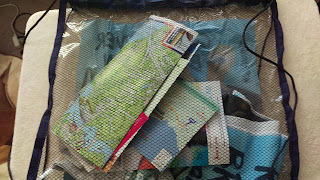 the back of the bag is a clear mesh. This helps with security at the event; bag checks are a big issues these days with something this big. The first thing that stood out to me when I looked inside the bag was the shirt. 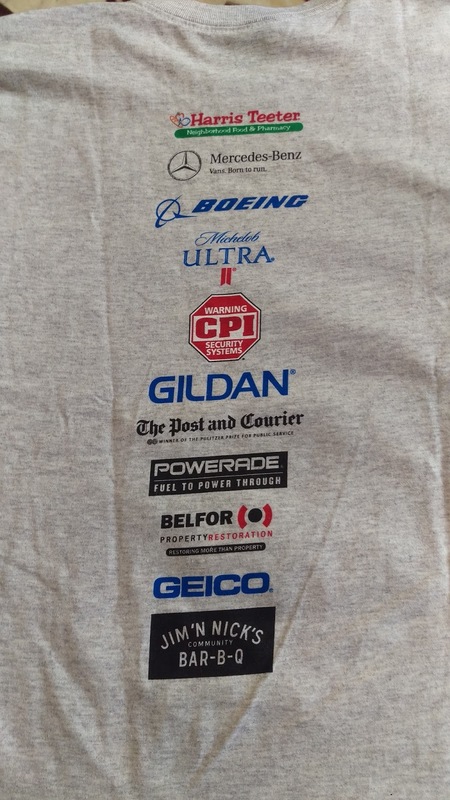 I love racing shirts and I rarely get rid of them. In fact, the only times I really throw away race shirts are when they don't fit me or I end up spilling something horrendous on them. This particular shirt is a Gildan, which I'm normally not a big fan of, but it was not a typical Gildan shirt. This one was a dry blend Gildan, so it's not the usual sort that you find for a cheap price at a craft store. 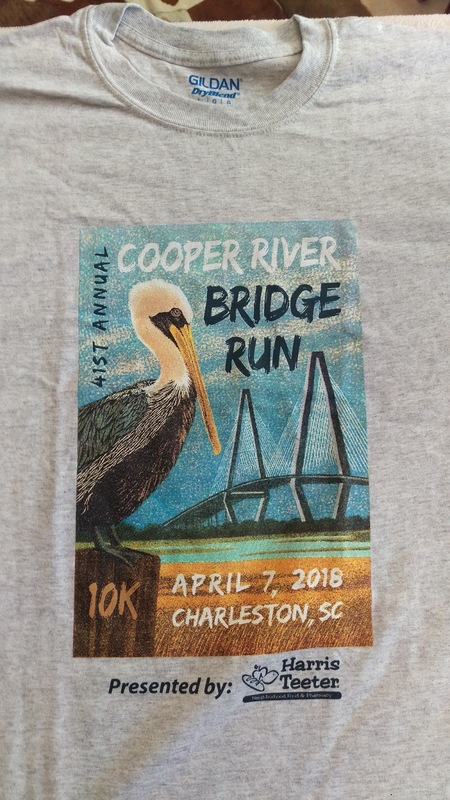 The back does have a list of the major sponsors for the Bridge Run, which I do like the layout. I'm not that keen on the grey color of the shirt, though, mostly because I've worn a grey shirt most of my Army career during physical training... and when I slept during a deployment. But I can see this shirt looking good in a pair of jeans. 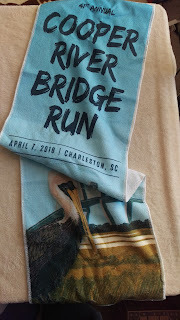 Next came the mini-towel which is a special item that they pick out each year. The first time I ran the Bridge Run, I got a similar mini-towel, but last year, I received a multi-purpose headband. 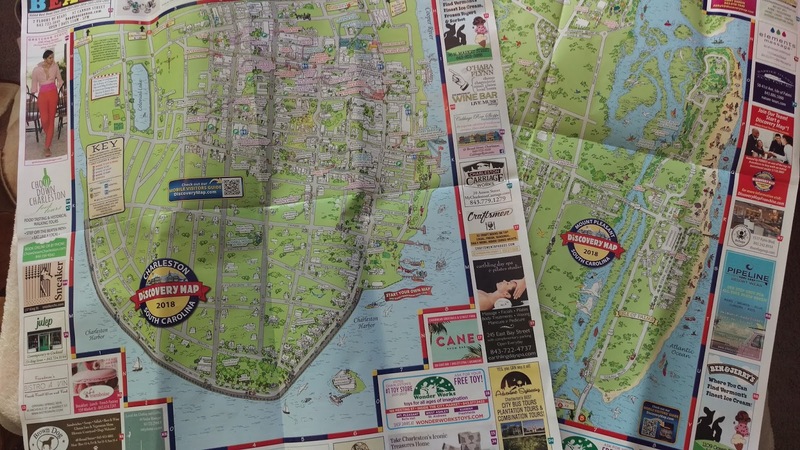 I still have those with me, and I like the length of this year's special item. It's longer than the previous towel I received, and I can easily hang it around my the back of my neck without it falling out. Next I pulled out some maps of the local area. 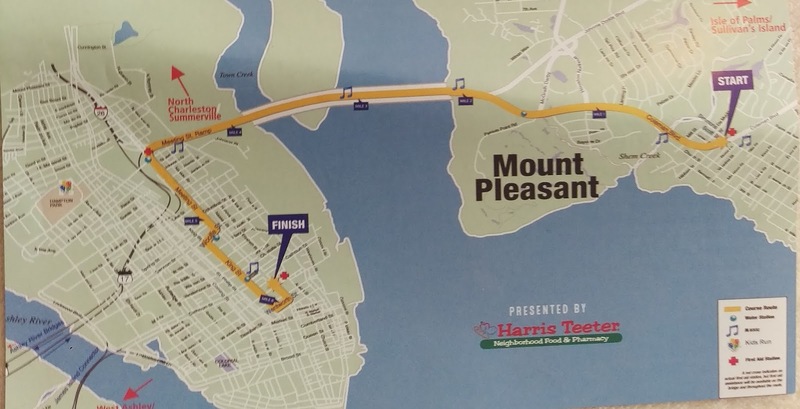 One was of Charleston, where the race ends, and the other similar looking map was of Mount Pleasant, where the Bridge Run starts. 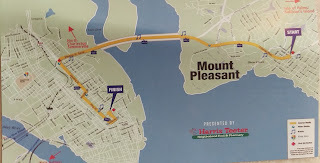 There was another map that came with the packet and that showed the route from start to finish. Anyone who has ran this course within the last several years will be familiar with what this looks like. Finally I had my race bib (though that was rolled up in my shirt), a card for the Asheville Half-Marathon and 10k, a 30 dollar voucher for Hello Fresh, and a five dollar coupon for Gilligan's Seafood Restaurant. 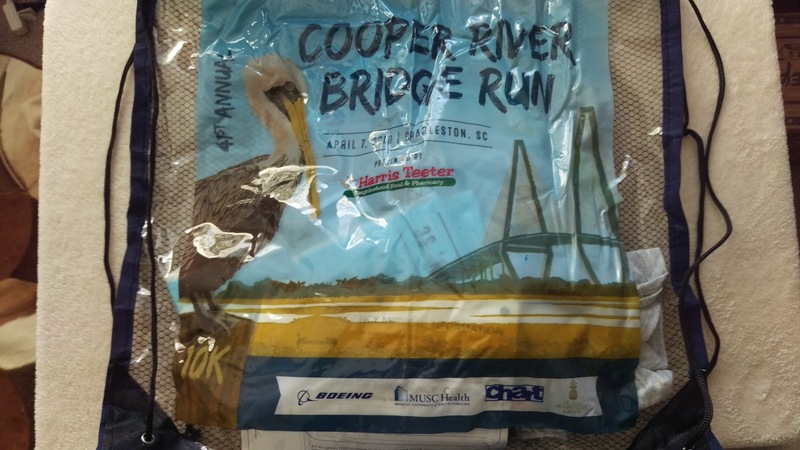 Not a bad packet after all, and while I thought I would be picking it up at the Cooper River Bridge Run Expo, I still plan on going there. Maybe I'll get a new pair of On Cloud running shoes.